Award-winning religion journalists describe a recently rediscovered medieval prayer tool that provides fresh inspiration and daily prayers for contemporary Christians. All people of faith struggle at times to sustain a flourishing prayer life–a loss felt all the more keenly in times like ours of confusion, political turbulence, and global calamity. The Prayer Wheel introduces an ancient prayer practice that offers a timeless solution for the modern faithful. In this collection, prominent scholars of Mormonism, including Claudia L. Bushman, Richard Lyman Bushman, Jan Shipps, and Philip L. Barlow, follow the religion’s quest for legitimacy in the United States and its intersection with American politics. 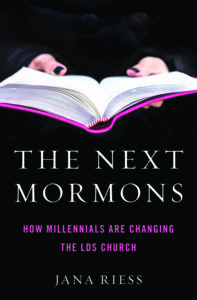 From Brigham Young’s skirmishes with the federal government over polygamy to the Mormon involvement in California’s Proposition 8, contributors combine sociology, political science, race and gender studies, and popular culture to track Mormonism’s rapid integration into American life. The book takes a broad view of the religion’s history, considering its treatment of women and African Americans and its portrayal in popular culture and the media. With essays from both Mormon and non-Mormon scholars, this anthology tells a big-picture story of a small sect that became a major player in American politics. In her memoir, Flunking Sainthood, Riess failed twelve different spiritual practices over the course of a year but discovered to her surprise that even the ones she failed most spectacularly taught her something important. In this beautiful daily devotional, readers who want to go deeper into the twelve spiritual practices will find 365 days of guidance arranged according to monthly practices such as gratitude, generosity, prayer, Sabbath-keeping, and hospitality. Each day includes a short scripture verse, an inspirational reading from a contemporary or classic spiritual thinker, and a brief prayer, reflection, or follow-up action related to the day’s theme. These daily devotions help readers understand that spiritual growth is a lifelong journey without a fixed destination—and that there is great compassion for all of us who are flunking sainthood. Enter The Twible, which brings you every chapter as tweeted in 140 characters or less, from Genesis to Revelation! Find out what the Bible says you’re supposed to do if a friend starts worshiping another god, your child disrespects you in public, or you break the Sabbath. (The answers to those dilemmas are to stone your friend, stone your child, and stone yourself. In that order.) Learn where Paul swears in the New Testament, and why Jeremiah could benefit from antidepressants. Feasting on the Word has quickly become the most popular lectionary commentary series in use today. Daily Feast is a new series of daily devotionals that draws from the wealth of writing in the commentaries to present inspirational reflections for each day of the lectionary year. This wry memoir tackles twelve different spiritual practices in a quest to become more saintly, including fasting, fixed-hour prayer, the Jesus Prayer, gratitude, Sabbath-keeping, and generosity. Although Riess begins with great plans for success (“Really, how hard could that be?” she asks blithely at the start of her saint-making year), she finds to her growing humiliation that she is failing–not just at some of the practices, but at every single one. What emerges is a funny yet vulnerable story of the quest for spiritual perfection and the reality of spiritual failure, which turns out to be a valuable practice in and of itself. Mormonism, or the LDS Church, is one of the world’s fastest growing religions. But unless you were raised a Mormon, you probably don’t have a clear picture of LDS beliefs and practices. Covering everything from Joseph Smith and the Book of Mormon to tithing and family home evening, this friendly guide will get you up to speed in no time. Americans love to travel, many for vacation and pleasure. Others, however, travel to seek a connection with the spiritual in a particular place; they are on pilgrimage. Although America does not have the wealth of ancient and famous spiritual centers that you’ll find in the Holy Land, Europe, or in some other parts of the world, the United States does have vital centers of pilgrimage—with a uniquely American flavor. In this book, readers will learn the ins and outs of these distinctively American places of spiritual meaning and purpose. 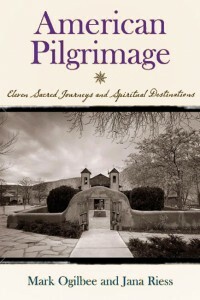 Readers will discover everything from a traditional walking pilgrimage to a small adobe chapel in Chimayo, New Mexico, prayers offered at the Shrine of St. Jude in Chicago, jam-packed football stadiums at a Billy Graham Crusade (a pilgrimage that travels to you), Benedictine retreat centers, and other, more uniquely American places such as Graceland and San Juan Capistrano, California. This unique guide explores where, how, and why Americans set out to find the holy in the spiritual landscape that is their own backyard. The Book of Mormon stands alongside the Bible as the keystone of The Church of Jesus Christ of Latter-day Saints (LDS Church/Mormonism). Translated by the prophet Joseph Smith from ancient writings inscribed on golden plates, the Book of Mormon is an account of people living in the Western Hemisphere in a timeline that parallels that of the Bible. It covers a thousand years of loss, discovery, war, peace, and spiritual principles that focus on the teachings of Jesus Christ, outlining a plan for salvation and the responsibilities we must assume to attain it. The Book of Mormon: Selections Annotated & Explained explores this sacred epic that is cherished by more than twelve million members of the LDS church as the keystone of their faith. Probing the principal themes and historical foundation of this controversial and provocative narrative, Jana Riess focuses on key selections that offer insight into contemporary Mormon beliefs and scriptural emphases, such as the atonement of Christ, the nature of human freedom, the purpose of baptism, and the need for repentance from sin. She clarifies the religious, political, and historical events that take place in the ancient communities of the Book of Mormon and their underlying contemporary teachings that serve as the framework for spiritual practices that lie at the core of Mormon life. Now you can experience this foundational sacred text even if you have no previous knowledge of Mormonism. This SkyLight Illuminations edition presents the key teachings and essential concepts of the Mormon faith tradition with insightful yet unobtrusive commentary that helps to dispel many of the misconceptions that have surrounded the Book of Mormon since its publication in 1830. What Would Buffy Do? explores the fascinating spiritual, religious, and mythological ideas of television’s hit series Buffy the Vampire Slayer—from apocalypse and sacrifice to self-reliance, redemption, and the need for humor when fighting our spiritual battles. New England’s sacred landscape is dotted with the white steeples of Puritan meetinghouses, the ancient spiritual sites of Native Americans, and the clapboard dwellings of famous poets, preachers, artists and philosophers. The land of covered bridges, village greens and endless stone walls also boasts the country’s oldest synagogue and its very first Baptist church; it was home to Quakers, Shakers, and Transcendentalists, and to the founders of Mormonism and Christian Science. More recently, New England has become truly multireligious, with Muslims, Hindus, Sikhs and Buddhists now living side by side with Christians, Jews and Native Americans. The Spiritual Traveler: Boston and New England is a unique guidebook. It introduces hundreds of churches, synagogues, mosques, meetinghouses, Buddhist meditation centers, Hindu and Sikh temples, as well as retreat centers of all religious traditions. It lists landmarks that rank among America’s oldest and finest works of architecture and contain treasures of spiritual art and history. It describes some of the nation’s most beautiful gardens, parks, cemeteries and other peaceful places, and the natural beauty of New England’s mountains, forests and rocky shores. Introductory chapters recount New England’s spiritual history, offer an overview of its many faith traditions, and explain its sacred architecture.